This congregation was organized in 1878 with fourteen charter members by the Reverend Jim Smith and the Reverend E. C. Fullingim. In 1880 the church became part of the Decatur circuit, and the Reverend R. N. Brown served as its first regular pastor. Oak Grove's original sanctuary was constructed ten miles northeast of Decatur but was moved to this site in 1902. 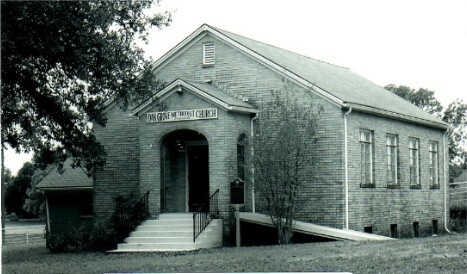 The current church building has been in use since 1948. 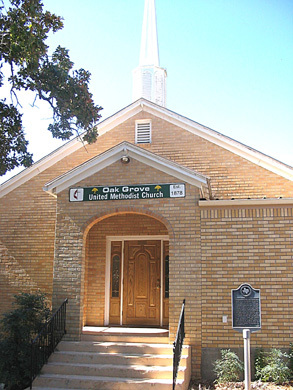 Oak Grove United Methodist, which traditionally held an August revival camp meeting, stands as one of the oldest rural churches in Wise County.